To SEC opposing defensive lineman, best wishes on getting through these new Bulldog big men. Andrew Thomas, a four-star hometown product out of Pace Academy in Atlanta, Ga., announced his decision to commit to Georgia on ESPNU on Sunday night on-site at the camp hosted by Nike. Thomas joins four-star running back Toneil Carter as Georgia’s second addition in about four hours and solidifies Georgia’s spot at third in the 247 Sports recruiting composite rankings. Thomas, standing big in stature at 6-foot-5, 310 pounds, builds on the “large and skilled” mantra of Pittman as he tries to build one of the nation’s best offensive lines just as he did at Arkansas. 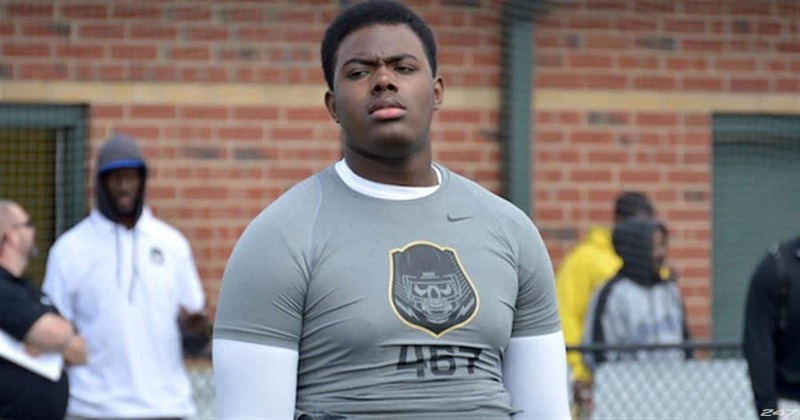 His ranking as the tenth overall offensive lineman in the nation and the fourth ranked player in the state of Georgia, according to 247Sports, is one that should definitely be taken seriously. Thomas is the fifteenth commitment for Kirby Smart in the 2017 class, and the fourth offensive lineman. Thomas will join fellow four-star linemen D’Antne Demery, Netori Johnson, and Justin Shaffer of those headed to Athens, and all three are from the state of Georgia. In addition to Georgia, Thomas also received offers from top-tier programs including Alabama, Clemson, LSU and others.